Free Ground Shipping in the Continental U.S. on orders over $30. 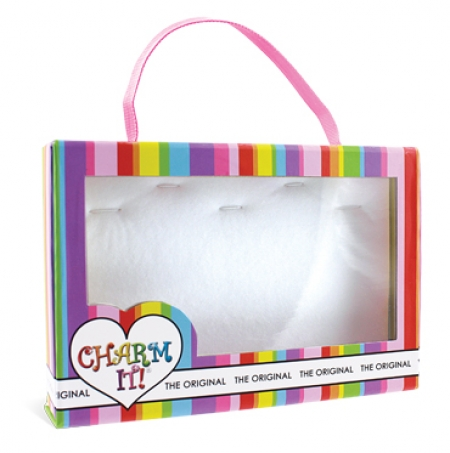 This gift box measures 6 1/4 W, 4 1/4 H, and 1 3/8 D. Gift box can hold up to 5 Charm It! charms or three Charm It! charms and one bracelet.